Cynthia McCorkindale, mezzo-soprano, is a versatile song stylist. Ms. McCorkindale performs in New York and Connecticut, and has appeared in a variety of venues including New York’s Birdland and London’s Cafe Royal. She has shared the stage with jazz luminaries such as Dave Brubeck, Chris Brubeck, Michael deMicco, Bill Mays, Linc Chamberland, Michael Moore, Ted Rosenthal, Terry Clarke, Jay Leonhardt, and many other artists. She has also sung under the direction of Lukas Foss, Russell Gloyd and for the New York City Opera. 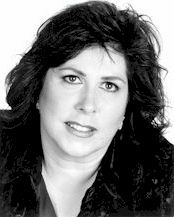 Cynthia has lent her vocal talent to projects for independent films, as well as to television spots and jingles for The Discovery Channel, Animal Planet, The Cartoon Network, and The Carnegie Deli. Cynthia recently completed her first solo CD, Meant To Be Blue, which was produced, engineered and mixed by Grammy award-winning producer Elliot Scheiner. An alumnus of The Boston Conservatory and Western Connecticut State University, Cynthia will return in concert this summer at Music Mountain in Falls Village, CT where she has appeared for the last eight years. A resident of Bethel, she is also the mezzo soloist at Trinity Episcopal Church in Newtown. 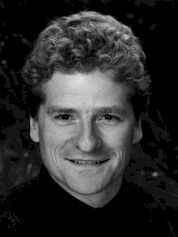 Mark Beams, tenor, is a graduate of Dartmouth College, and of the National Law Center at George Washington University. He has studied voice at the Vienna Conservatory (where as a student he performed on Austrian television), Hans Joachim Heinz in New York City, and in the early nineties with John Shackleford of the School of Performing Arts in New Milford. Locally, he has performed in the lead tenor role in productions of Rigoletto and La Traviata at Stage II Opera Company in New Milford. He has also appeared as a soloist with the Connecticut Choral Society in a performance of Mozart’s Missa Brevis in F. Mark spends most of his time these days as an international tax attorney, and is married with two children.